In my previous post, I presented a number of photos that I've taken over the years of my uncle's first car, a 1941 Chevy Master Deluxe Business Coupe. The last of those images were taken on my final day with this rusty, old antique. While most of the earlier photos were taken in natural light, these were artificially lit and composed against a black background, giving a decidedly "portrait" feel to the images. Today, I want to go into some detail on how these photos were created. I've always enjoyed Joel Sartore's "Photo Ark" project, wherein he photographs simple portraits on black or white of endangered animals. When I as asked to shoot images of some birds for the web site of a local parrot rescue organization, the Photo Ark was the first concept that popped into my head. 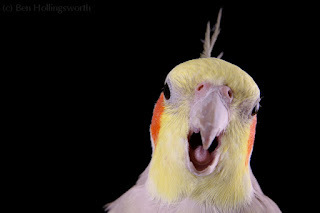 I had never made serious portraits of animals before, so I did a test run with a friend and her cockatiels. The goal was to photograph her birds on black and white backdrops, sometimes posing with her family. Kids? Animals? Flaky equipment? What could possibly go wrong with that trio? 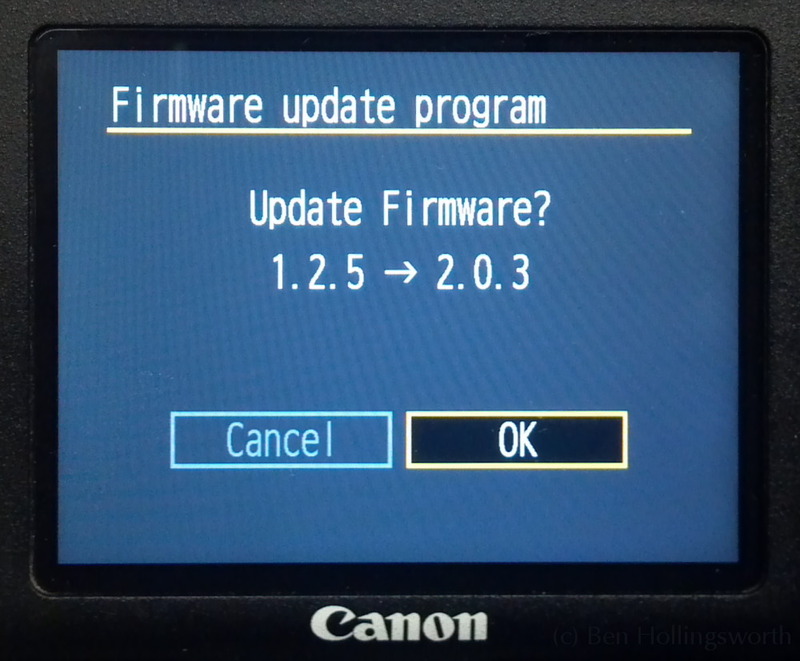 In late August 2012, Canon released a new major version of the firmware for its 7D body, upgrading it from 1.2.5 to 2.0.0. 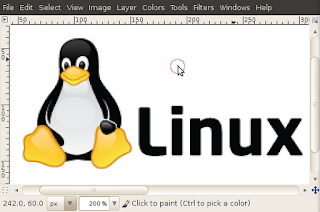 This was followed a few weeks later with version 2.0.3, which fixed a few minor bugs. 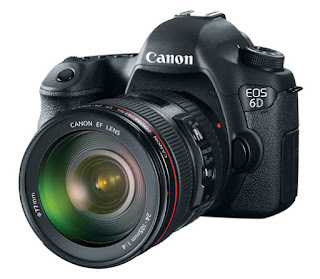 The v2 firmware added a number of relatively major features to the 7D, and provided an uncommonly significant upgrade to a body that is over two years old. 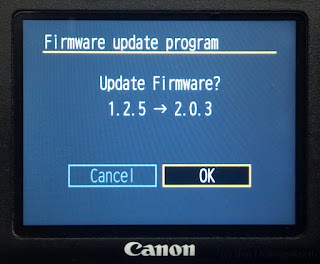 After waiting a month for other people to beta test the new firmware (a good idea, as evidenced by the release of v2.0.3), I finally upgraded my own 7D from version 1.2.5. Nobody ever accused me of having great fashion sense. I once dressed my son for church in plaid shorts & a striped shirt, and saw nothing wrong with it. I also carry all my camera gear in old bags that I pick up at thrift stores and garage sales. You, however, may be blessed with a little more style in your wardrobe (and I hope this includes most of you women out there). If you'd like that style to carry over into your camera bags, your options today are much broader than they were even a few years ago. Gone are the days when you were stuck carrying your gear in a rectangular, black, nylon bag like those that line the shelves at Best Buy. Since I've been asked to recommend storage options to several friends lately, I figured I'd post what I've found publicly for your shopping enjoyment. I had the privilege recently of hanging out with my family, our neighbor kids, and a bunch of strangers at a local public skateboard park. My oldest son was the impetus for the outing. He's no Tony Hawk, but he enjoys playing with his skateboard, his BMX bike, and especially his brand new Rip Stick. As I do with most family park outings, I took my camera bag just in case. 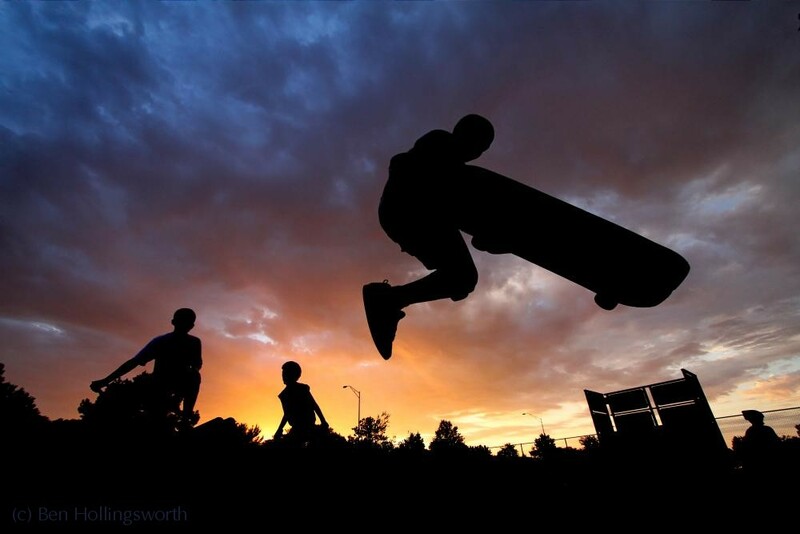 There was a large crowd at the skate park that evening, and we were blessed with a gorgeous sunset that provided some excellent photo ops. All of the kids were happy to perform for my camera after they saw the type of shots I was getting, and I handed out several business cards so I could share the images with them. I figured I'd share with you a few of the techniques that I used that day to capture the action. Every year, Husker football celebrity Brenden Stai sponsors a golf tournament in Lincoln to raise money for Tiny Hands International. A handful of other Husker celebs partner up with each foursome on the course, and a dinner & silent auction take place the preceding evening. 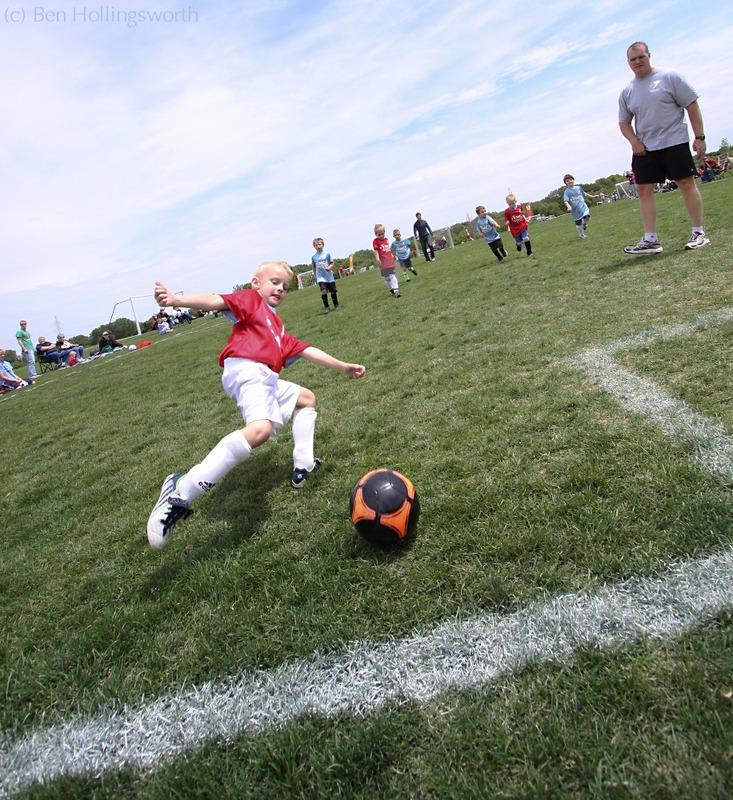 This summer marked the fourth year of the tournament, and the third year that I've been its official photographer. These days, almost everybody who does a reasonable amount of work with off-camera flashes has switched from traditional alkaline batteries to NiMH rechargeables. Despite the significant up-front investment, rechargeables definitely save you money in the long run. The first sets of AA batteries that I bought have been wearing out lately & won't hold a charge very long. When choosing their replacements, I decided to try a new brand: Imedion by PowerEx (Maha). 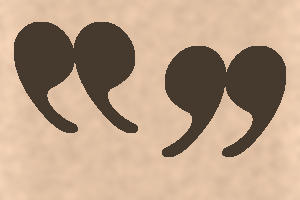 I've only used them briefly so far, but I'm definitely pleased with them. 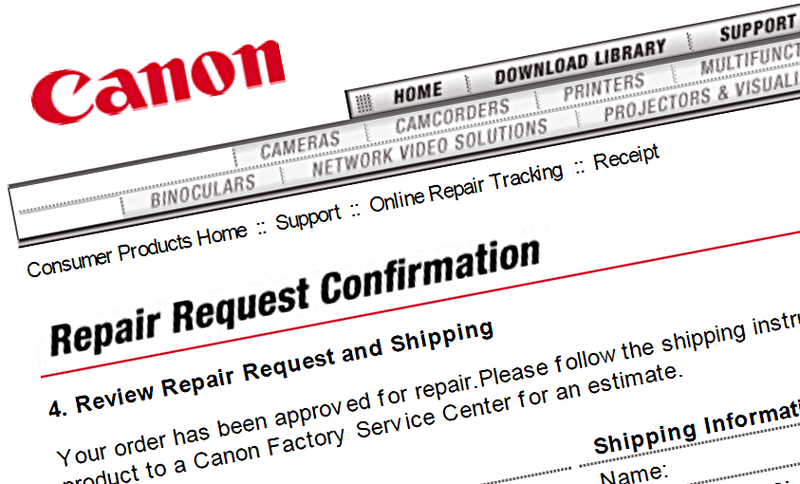 I've had to make use of Canon Factory Service several times in the five years since I got my first DSLR. 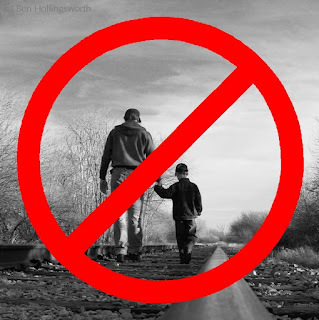 I discussed those experiences in a previous post. I recently learned that (not surprisingly) Canon has a special program called Canon Professional Services that caters to professional shooters who use Canon gear. It's a cool program, and anybody who makes money with their Canon camera equipment should seriously look into it. 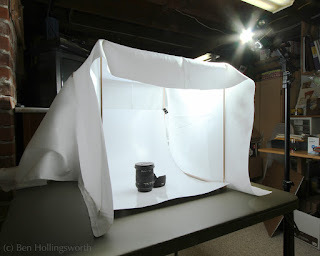 As regular readers know, I've come to enjoy using quite a variety of older, manual-focus lenses on my Canon EOS bodies. This may seem like blasphemy, but among my favorites are some of Nikon's Nikkor lenses. Of course, Nikon's own DSLR bodies are also able to use older Nikkor lenses... with some caveats. Before I go into too much detail on specific Nikkor lenses for my "Old Glass" series, I wanted to lay the groundwork on the differences between these Nikon lens mounts and how those differences affect modern DSLR users. 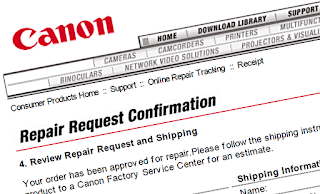 Having just received another damaged lens back from Canon Factory Service in fine shape, I wanted to give a thumbs up to the folks who work there. 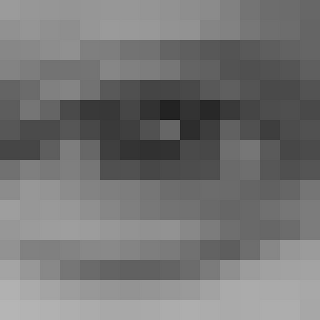 This is the fifth time I've had to deal with them, and the experience has always been as pleasant as you could hope for, given the circumstances of having a broken camera. Proper exposure typically means that you maintain detail in both the bright and dark areas of the image. 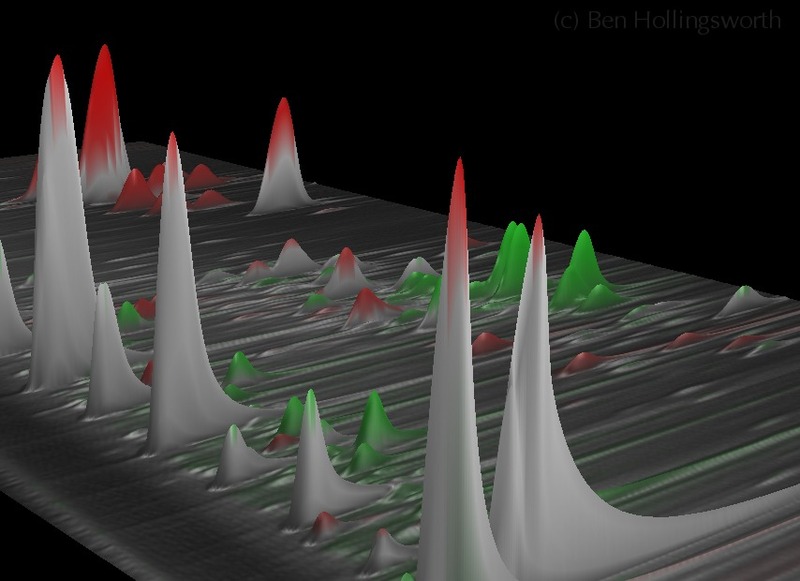 A good way to see the distribution of shades from dark to light is by using a histogram. Many people have seen a histogram either on their camera LCD or in their photo editing software, but if that little mountain-shaped graph is to be more than just a curiosity, you have to learn what it means and how to use it to your advantage. 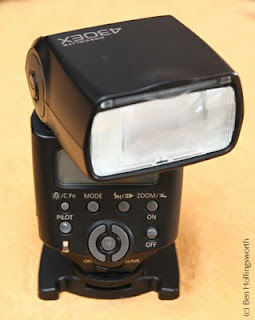 I love my flashes, thanks in large part to David Hobby. 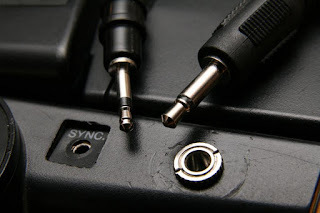 One of the things that David is constantly promoting is his preference for using 1/8" (3.5mm) miniphone audio cords instead of the older, standard PC-sync cords for syncing flashes. PC jacks are notoriously unreliable as well as ludicrously expensive. Miniphone jacks are both more reliable and dirt cheap. Even better, the Cactus V4 radio triggers that I use come with 1/8" sync ports built in. Unfortunately, none of my flashes came with them. My old Sunpak Auto 544 "potato masher" flash came with a proprietary jack, but when that jack started to flake out on me, I figured it was time to add a miniphone plug to it.